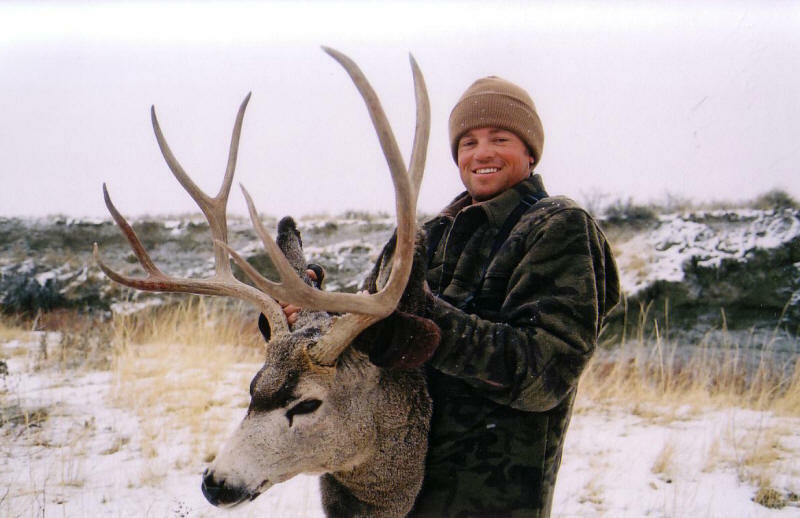 Montana Experience Outfitters offers archery deer hunts in eastern Montana. And now, you can combine multiple mixed bagged hunting trips. 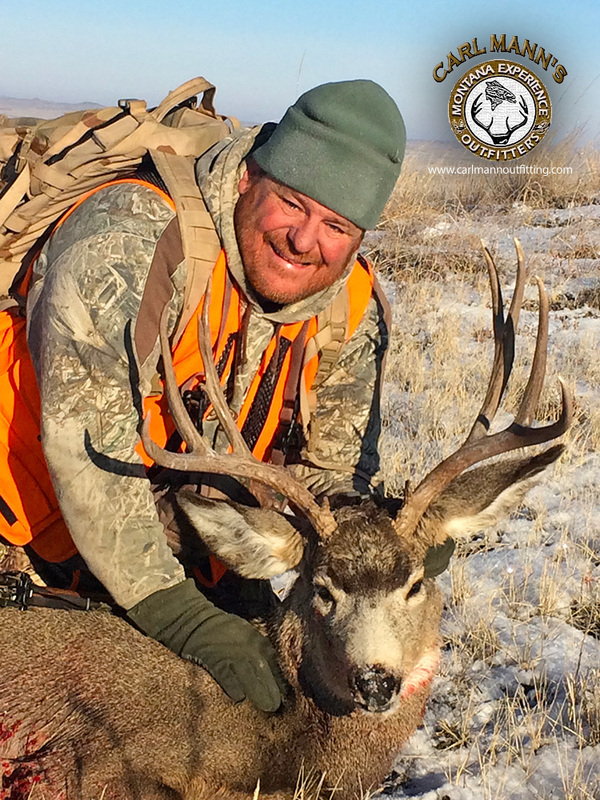 you can mix up 1, 2 or all 3 of our hunted species (Elk, Antelope and Deer). I do not know of any outfitter or location where you are able to get multiple opportunities or shots on a daily basis. 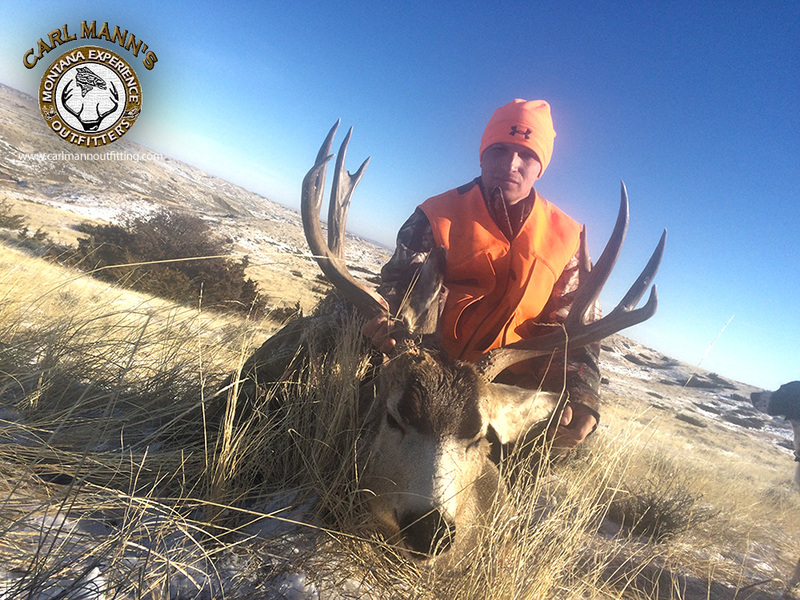 We have plenty of mule deer bucks and does. A typical mule deer archery day would consist of an excellent home cooked breakfast to start off the morning and than off to the field. You may either choose to ride around and spot bucks off in the distance, or get out and hike as we would do during rifle season. Almost all of our hunts are spot and stalk, which adds to the fun. We do not use watering holes very often because of the abundance of water in the area. 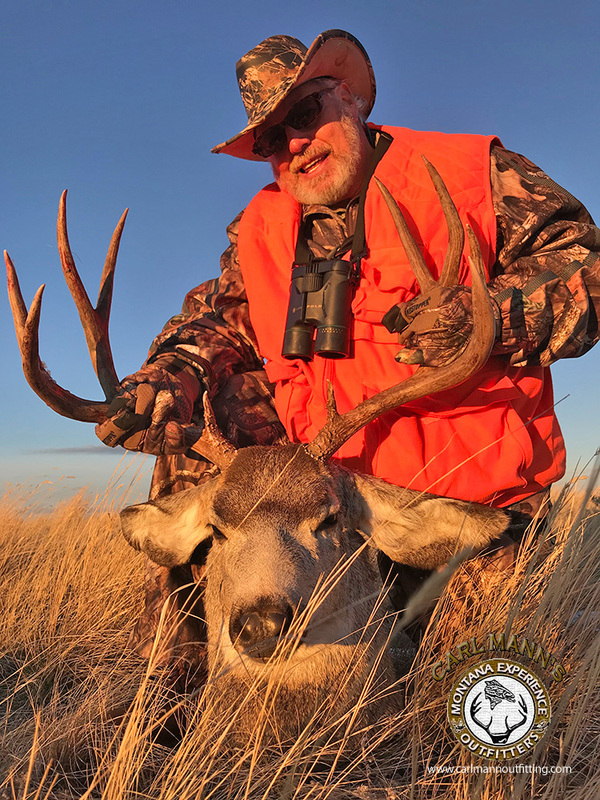 We hunt very close to Fort Peck Reservoir (which is a 150 mile long lake, with over 1,500 miles of shoreline) plus the prairie is filled with pot holes because of the local soil called bentonite, or more commonly known as gumbo, which holds water forever. Most deer are running in bachelor groups during the hunting season; from 2 to 8 bucks in a group. Most of the deer are in a very calms state at this time. They haven't seen people for over 10 months. You are able to purchase 1 buck and multiple doe tags. 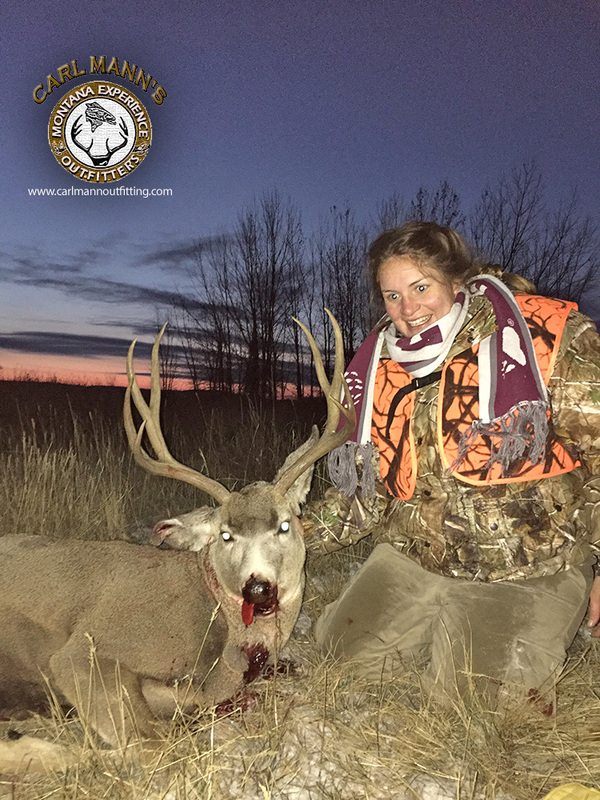 We are also able to put you on some whitetail doe areas where deer are plentiful. I do not know of any place in my state of Montana where I can go out day after day and get multiple opportunities to locate nice bucks with a bow and arrow. Most shots at mule deer range from 30 to 65 yards. I suggest you bring as many as 2 dozen arrows because you will get multiple opportunities if you don't score on the first couple of opportunities; there will be plenty more opportunities.